With that, here are my current thoughts on the I-Am part of the soul. The I-Am provides the boundary that separates each of us from everything else in soul reality. It surrounds and flows through the middle five regions of the soul and is able to expand to cover the Info and Energy regions, if we have enough life force. It provides protection for soul regions when we interact with anything outside of ourselves and helps coordinate soul regions inside our soul. 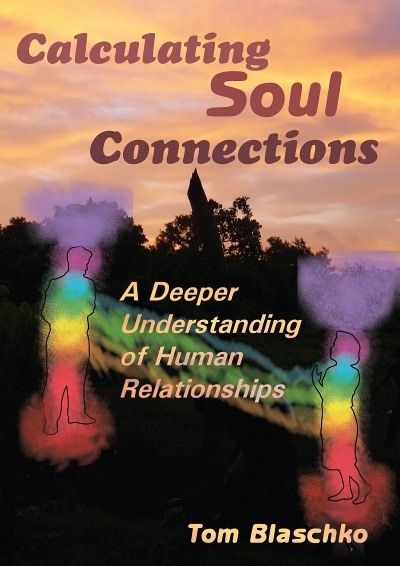 Other people writing about souls use terms like subtle body and energy body. They often have seven of more layers. I think it is less complicated than that. One I-Am that contains the soul regions seems like enough. How the I-Am appears in soul reality is directly tied to the amount of life force in the soul. In a healthy, powerful soul, the soul regions and the I-Am are larger than the body. Sometimes the I-Am is much larger. When we say someone is larger than life, we are talking about someone with a powerful personality. In soul terms, we are talking about a very large soul. We also know people who barely make an impression. I believe this is usually because their souls have very little life force. The I-Am and the soul regions it contains may be small enough to hide inside the physical body. This is not a healthy situation because it leaves the body open to danger in both realities. Sometimes I look at the need for a soul that is larger than the body from a martial arts perspective. I want to thank my karate friend, Mike Panian, for his insight on the three zones. The outer zone is beyond the area where I can be physically harmed. The outer edge of my I-Am is starting to connect with the outer edge of my opponent’s I-Am. The engagement has started in soul reality although outsiders might not see anything in physical reality. The middle zone is where we can start to physically interact with one another. This is where most people would say their I-Am exists, but I think it can extend farther. It’s also the closest distance we feel comfortable standing when we are talking to a stranger. 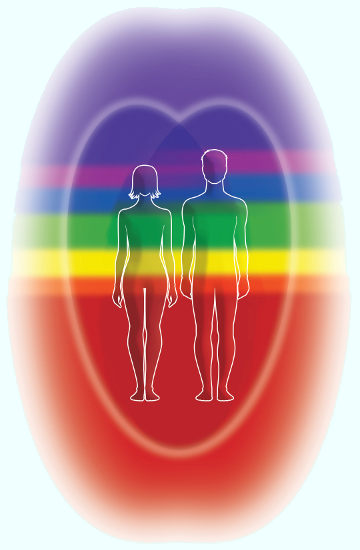 The inner zone is right next to my physical body. It is the closest I can let an opponent get physically and still be safe from harm. At this distance there are strong interactions between my soul and my opponent’s soul. The interactions have been going on ever since we noticed each other, but they are much stronger at this distance. I think the I-Am needs to cover all of the zones. If the I-Am doesn’t reach out past the body, it can’t act in any of the zones. Harm can reach us without any protection from the soul. A person with a small I-Am is easy to run over. For a healthy body and soul we need to have enough life force so the I-Am is powerful enough to extend out from the body and protect it. Before leaving this idea, I need to talk about one more case. Sometimes people who make no impression are very powerful. That kind of person has an I-Am that is very large, but it has the ability to cloak the person so the person can’t be seen. This is especially useful when doing shamanic work because it makes it very hard for evil beings to track us and cause us harm. Many spirit beings have this kind of cloaking. Another aspect of the I-Am’s protection is that it keeps soul regions from being harmed. 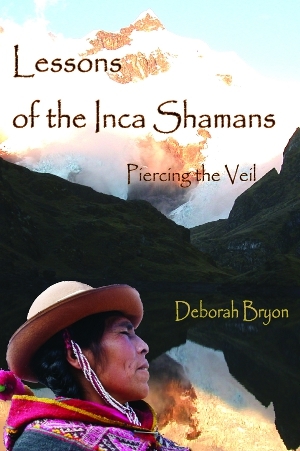 Shamanic traditions know that traumas can break pieces off of the regions of our soul. We also lose pieces of our soul when we choose to give them away. For example, we have the idea of giving our Heart to someone else. Losing pieces of our soul, whether it’s from trauma or by choice, is not a good idea. Soul pieces that are lost can stay scattered throughout soul reality until a soul retrieval is done. We are better off when we keep all of our soul together. For example, it’s better to keep all of our Heart so we can continue to send life force from it to the person we care about. The I-Am can contain the soul in a way that lets the life force out while keeping parts of the soul from leaving, too. A healthy I-Am protects our souls from losing pieces of itself. Let’s look at what some other people think about how the I-Am provides separation and protection. One person thinks of it as a flying teacup with a lid on top. If you know the comic strip Rose Is Rose, think about Pasquale’s dream ship. The cup can be sealed off for protection, but it usually allows energy to move into and out of it. Another person thinks of the I-Am as a set of control rooms. There seems to be a level for each region of the soul. He travels to the control rooms to work with people-shaped beings who are in each soul region. When he goes outside of the control room, he is in soul reality. He sees connections with others coming into each of the control rooms. Sometimes the connections show up even when they aren’t wanted. With effort, he can open and close the connections to keep himself safe. This is an important aspect of the I-Am. Inside that area of soul reality you are in charge of yourself. 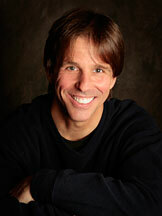 David Spangler uses the concept of standing in your own sovereignty. The other function of the I-Am is to coordinate the soul regions. Each soul region has its own functions. It also needs to share life force with other soul regions for both energy and information. I think the I-Am is the pathway between the regions. That means the I-Am does more than wrap the soul regions to protect them. It also flows through them to give them a way to connect. Let’s look at an example. People who do acupuncture work with energy meridians that connect parts of the body. 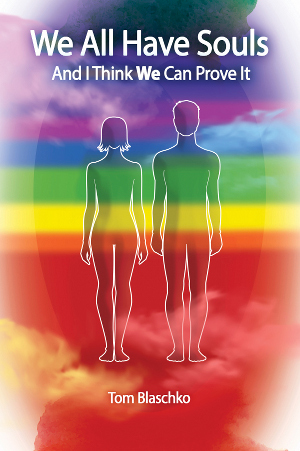 What they observe is that working on one area of the body can heal other areas. The way the I-Am connects soul regions is how my model would explain this. I think some of the connections are permanent while others form and dissolve as required. With all of its functions, the I-Am creates the totality of what we are. As long as the soul has enough life force, the I-Am can accomplish all of its functions — coordination, integration, separation, protection, and sovereignty. Some I-Ams may be rigid, brittle, full of holes, torn, broken, shattered, or even nonexistent. Those leave the soul unprotected from dangerous life force. On the other hand, an I-Am may be so tightly closed with shields and protections that no life force can get in. That’s not healthy either because our souls need life force to live. The best sort of I-Am does three things. It is strong enough to protect us from danger. It is open to receiving positive life force for all the regions of our soul and reaches out from the Energy and Info regions to gather life force in the upper and lower regions of the world. It lets our soul regions send life force to others without losing parts of our soul in the process. The best I-Am is resilient, flexible, and as open or closed to the life force around us as it needs to be for our highest and best good. It can shield our soul when it needs to and gather positive life force when it is available. It gives the soul regions enough space to feel comfortable and makes enjoyable contact with the I-Ams of other people. Having a healthy I-Am is required for having a healthy soul.